NEW YORK, NY – October 22, 2015 – CheapOair®, the first flights-focused hybrid travel agency, today announced its top ten most popular domestic and international destinations for Thanksgiving. This year’s data shows many travelers are visiting warm weather cities, with Los Angeles, Miami and Orlando dominating the top three domestic destinations. The top three international destinations include Manila, Cancun and Delhi, which are also warm weather cities during this time of the year. In addition to popular tourist areas, such as New York and Los Angeles, CheapOair’s data shows three cities in Florida among the top ten U.S. destinations, with Miami coming in at number two, Orlando at number three and Ft. Lauderdale at the number ten ranking. The average roundtrip domestic airfare for destinations on the list this year is $429, with the lowest fares to cities such as Orlando, Dallas, Fort Lauderdale and NYC. The list of top ten international destinations also includes several that are favored by tourists, such as Cancun, San Juan, Sydney and Aruba. The average airfare for the leading international travel destinations during the Thanksgiving travel season is $585. As an added bonus, online bookings made on CheapOair’s Thanksgiving travel deals page between now and October 30th will be automatically entered to win a $300 travel voucher thanks to CheapOair’s Home AwaitsTM program. The fares referenced are averages, calculated based on bookings made 30+ days in advance, leaving anytime on the Wednesday before Thanksgiving and returning the following Sunday or Monday. For more information, please visit http://www.CheapOair.com, http://www.cheapoair.com/mobile, or our social media pages, http://www.Facebook.com/CheapOair and https://twitter.com/cheapoair. NEW YORK, NY – October 21, 2015 – CheapOair®, a leading hybrid (online/traditional) travel agency, announced today the Gold Winners for the Most Effortless, Most Affordable and Most Enjoyable Cities of the Year in the inaugural CheapOair OwardsTM. In its first year, the CheapOair Owards recognized 15 American cities that best embody the brand’s overall mission and vision of making travel effortless, affordable and enjoyable. The finalist cities were chosen by a panel of internal travel experts with years of collective travel and travel booking experience. The finalist cities were then narrowed down to three Gold winners based on independent online travelers’ voting over a two month period. For more information on each Gold Oward Winner and the city finalists, visit http://www.CheapOair.com/Owards/ or follow CheapOair on Twitter, Facebook and Instagram. NEW YORK, NY – October 1, 2015 – Fareportal, one of the fastest-growing travel technology companies, announced today that it was named Organization of the Year in the 13th annual American Business Awards. Fareportal received the Grand Stevie award for Organization of the Year, for earning the most award points (54.5) in the competition, ahead of AT&T and Accenture (both at 23.5 points). Nicknamed the Stevies for the Greek word meaning “crowned,” the American Business Awards are the nation’s premier business awards program. More than 3,300 nominations from organizations of all sizes and in virtually every industry were submitted this year for consideration in a wide range of categories, with more than 200 executives worldwide participating in the judging process to select this year’s Stevie Award winners. The Grand Stevie Awards were presented to the organizations that submitted the best body of entries this year, with a Gold Stevie Award win counting for three points, a Silver Stevie win for two points, and a Bronze Stevie win counting for 1.5 points. 5. and Julia Zamorska, senior director of corporate communications, won in the PR Executive of the Year category. 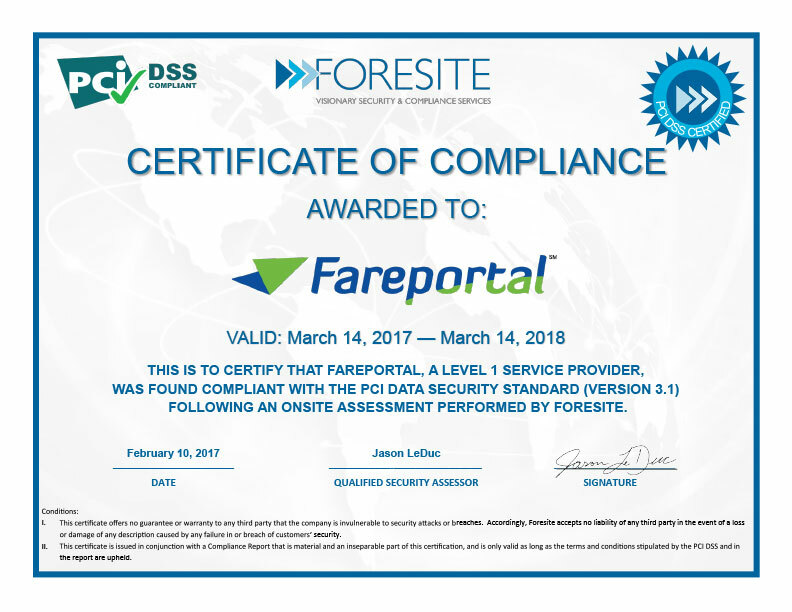 Fareportal also won a total of 12 silver and eight bronze awards, for its app, website, company achievements and HR, marketing and technology departments and executives.